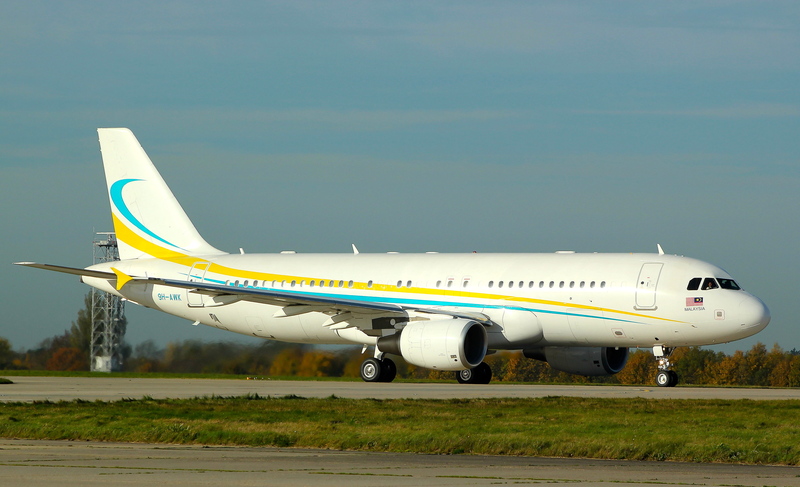 Our earlier story about the high possibility of Malaysian Government or any of its agencies leasing a ACJ320 VVIP jet with tail number 9H-AWK from a Malta-based executive Comlux Aviation drew so many attention. Datuk Rocky asked the Prime Minister’s Office (PMO) to respond to the story ASAP. Pesawat ACJ A320 ini disewa di antara 1 Februari – 31 Disember 2013 setelah mendapati pesawat BBJ memerlukan lebih masa bagi urusan penyelenggaraan. It was posted by someone who claims to be “Rizal Mansor”. It looks like something official but we don’t quite understand why it was posted in a comment section, instead being e mailed to us through a PMO e mail. That would made it official. Of course, we would be providing the space for the response to be posted. 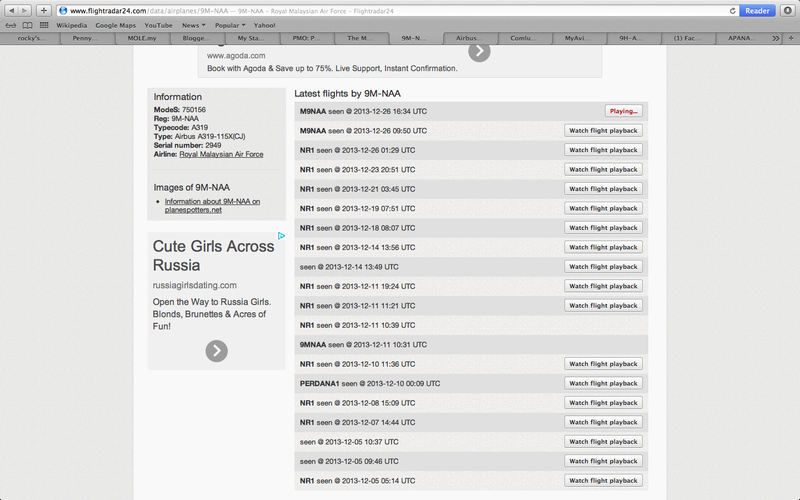 Who is this “Rizal Mansor”? Obviously he is not a personality the administrators of this blog could relate to, when it comes to the communication and media of the Prime Minister’s Office. There are other officers who have established a working level mutual respect and relationship with administrators of BigDogDotCom. Instances are speeches by Prime Minister Dato’ Sri Mohd. 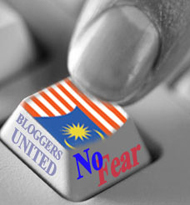 Najib Tun Razak, which were posted here in this blog were transmitted via e mail. It is baffling the fact that why wasn’t the official media release in response to the story, which originated by this blog, was not e mailed by a known media officer in the PMO. It was not until Datuk Rocky verified the authenticity of this media statement did we decide to post it here. What happened to the professional courtesy of the officers of PMO? At least almost two weeks ago, when Special Officer to the CEO of PEMANDU wanted to correct an erroneous story by another blog, it was e mailed to us. We posted the e mail. It was also e mailed to the said blogger. The austerity drive announced by Prime Minister Dato’ Sri Mohd. Najib Tun Razak the morning before New Year’s eve probably driven a start of an even bigger spending cuts. Especially the excessive and luxury bit, which is more likely many times over as compared to the savings to the cost saving exercise, which saw meagre salary and entertainment allowances cut. The excessive expenditure particularly in question is the ‘Travels in Luxury’. On 3 October 2013 Minister in PM’s Department Dato’ Seri Shahidan Kassim disclosed that the cost of PM Najib’s annual rental and maintenance of VVIP jet utilised to ferry him around RM34.3 million. That is without the fuel and food and beverages bill and other operational charges. Another interesting story by The Malay Mail is that RM180 million was the bigger tab, encompassing all the cost related to Prime Minister’s travel. KUALA LUMPUR, Nov 7 — At a time of austerity and subsidy cuts, the Prime Minister’s Office (PMO) revealed today that the government spent more than RM180 million for fuel and maintenance to fly private for official trips in 2012. In a written reply to Seremban MP Anthony Loke, Minister in the Prime Minister’s Department Datuk Seri Shahidan Kassim said the government owns and operates six private jets known as Government Executive Jets (VVIP). 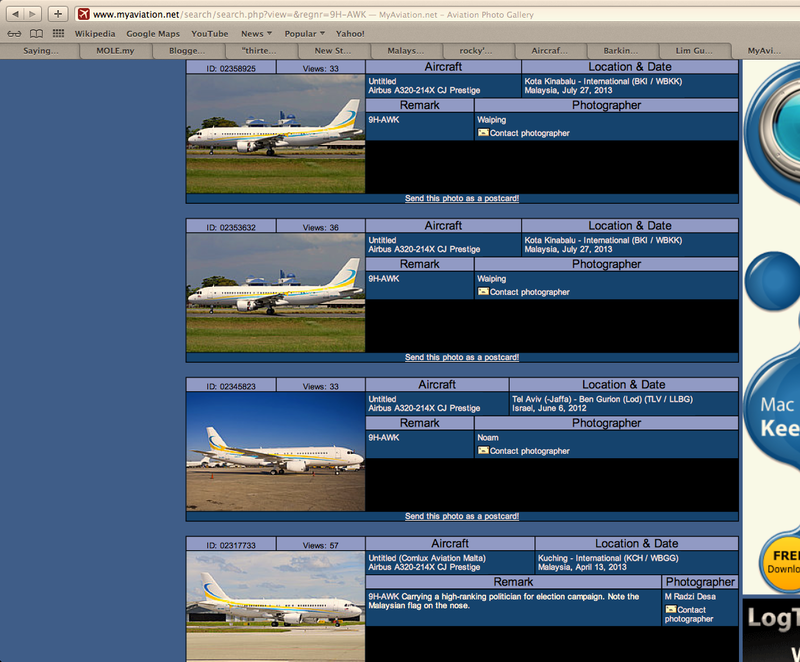 They include one unit of Falcon jet, one Global Express, one Boeing Business Jet, one Blackhawk, and two Agusta jets. ”For the cost of fuel for all aircrafts used in 2012 is RM14,951,448 and RM167,079,541.80 was spent on maintenance costs,” he said. Just last month, Shahidan said in a written parliamentary reply to Taiping MP Nga Kor Ming that Putrajaya spends RM28.8 million in annual rental and RM5.5 million to maintain the VVIP government jet ACJ319, the private aircraft used to ferry prime ministers much like the Air Force One in the US. “To ensure the VVIP government jet ACJ319 remain in a good condition and has the highest level of safety, the government has spent US$25.2 million (RM80.12 million) in rental costs, RM16.52 million for maintenance and RM3.32 million for modification works from the year 2010 to last year,” Shahidan said in the reply. Nga had asked the ministry to reveal details on the costs involved in buying or renting the official jet, its maintenance bills and the price of modification works that goes with it from 2000 until today. Nga later told reporters in Parliament that in addition to the private jet costs, the government had also forked out RM44 million to fund the prime minister’s overseas travels since 2008. The Taiping MP suggested the prime minister could travel first class on Malaysia’s flag carrier Malaysia Airlines, emulating his counterpart in Singapore, as it would save “millions” of taxpayers’ money. Nga also urged the Auditor-General to audit the Prime Minister’s Department to prove that it is transparent and is accountable for the ministry’s financial management. Today, Shahidan also revealed that there were 372 flights recorded last year alone, to 339 destinations on official government business. Loke said that this is another example of wastage involving the government’s expenditure, particularly on the highest government officials. “The government asked the people to tighten their belts, lower their costs and reduce subsidy but every time we get these answers, it shows that the government is not reducing their expenditure,” he said. 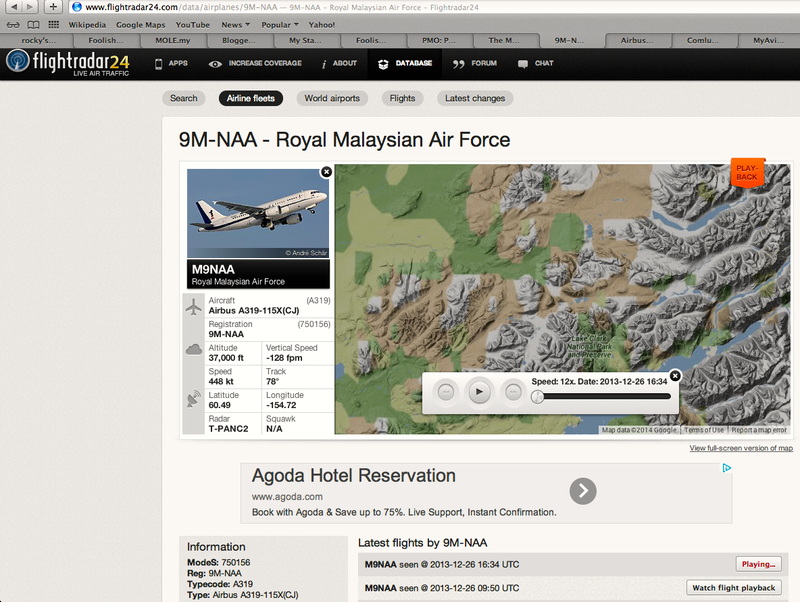 Loke also pointed out that on average, each flight costs RM489,330. “Based on the number of times the aircrafts were used in 2012 — 372, that means there is at least one flight daily, of course the prime minister doesn’t go overseas every day… of course this also involve domestic flights,” he said, and argued that private jets were not necessary for flights within the country. Loke’s ally from PAS, Pokok Sena MP Mahfuz Omar, who was also at the press conference, suggested that the government’s top executives should fly using commercial airplanes more frequently from next year onwards, including for their overseas trips. He proposed that the private jets be reserved only for Malaysia’s King. 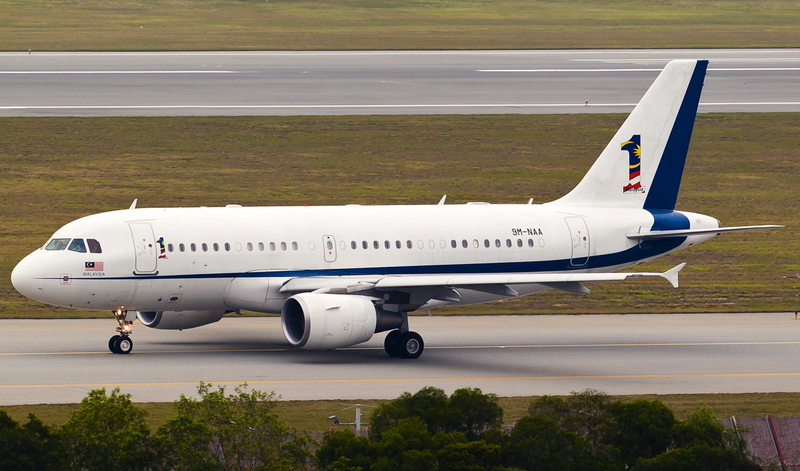 “The executive aircrafts should only be used by the Agong, because he doesn’t travel as often. “It is the prime minister and his deputy that are always using the aircrafts which is wasting the people and the country’s money,” Mahfuz said. This is really an exorbitant figure, for a VVIP flight operations and management cost. The “Thirteen Million Ringgit Plus” question; Can Malaysia Government afford ro spend this, which is part of the ‘Operational Budget’? The controversy to Datin Sri Rosmah Mansor’s contentious travel to Qatar for the International Forum on Women Entrepreneur IV in early November using the “Perdana One” ACJ319 VVIP jet with tail number 9M-NAA is still the ‘market talk’ in many quarters, across the nation. It is time that another issue be raised and brought into public debate. 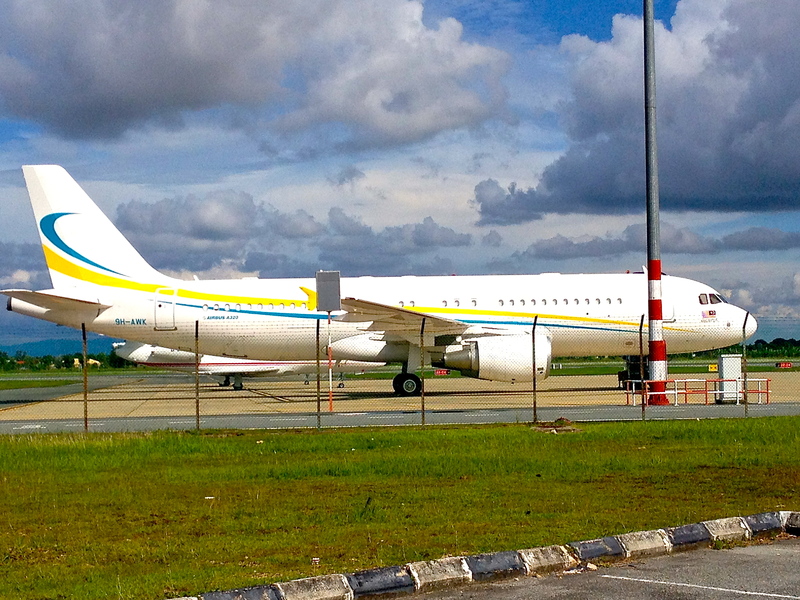 It seems a second ACJ320 with the tail number 9H-AWK has been constantly leased by “High Ranking Politician in Malaysia”. 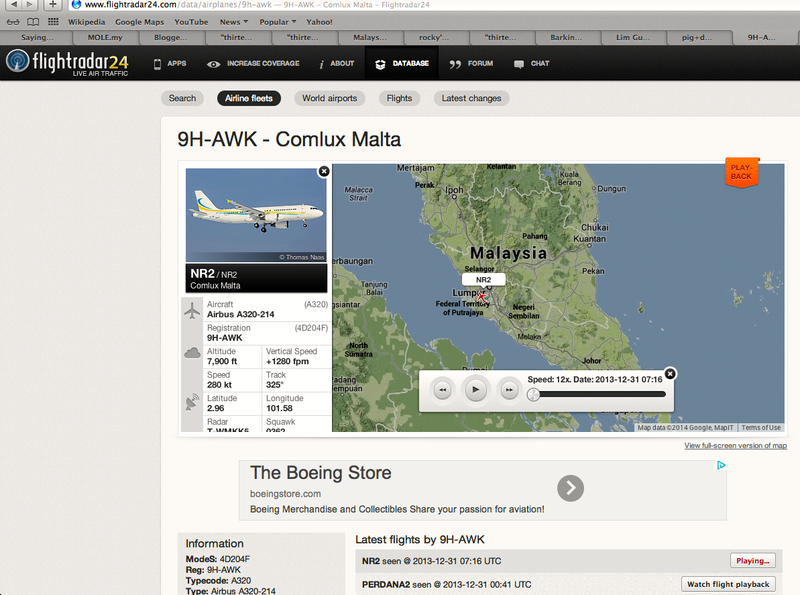 The aircraft is registered to a Malta based VIP jet charter, Comlux Aviation. 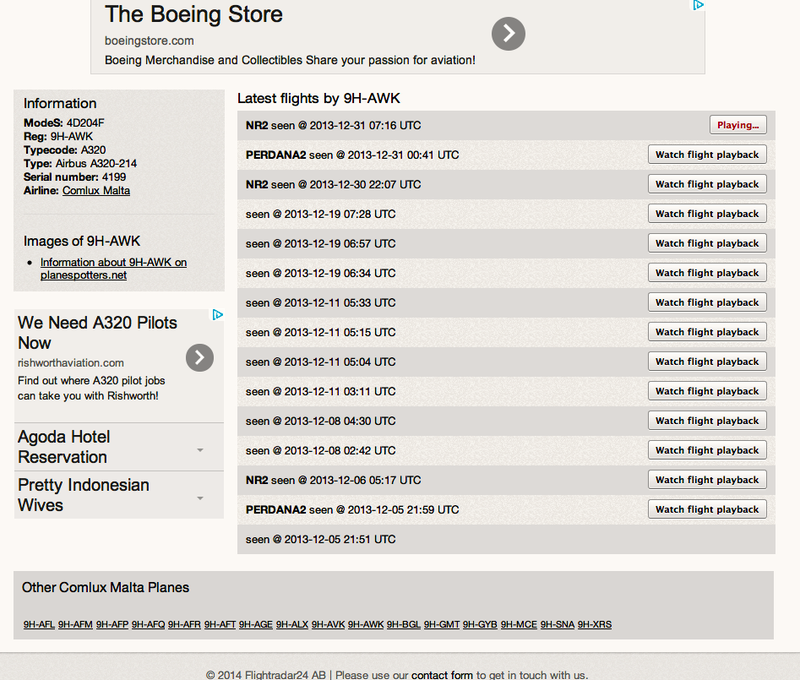 What is interesting, the 9H-AWK aircraft in Comlux Aviation’s own log has been dubbed as “NR2” or “Perdana 2”. The suspicion to who or which organisation which leased this ACJ320 is as good as ours. However, what is most important if the lease for the 9H-AWK is or was paid by the Malaysian Government, any corporations or individuals. If the Malaysian Government foot the bill for this lease, then the public also has the right to know why is the money spent especially when there are four other VVIP jets, namely the ACJ319, BBJ, Bombardier Global Express and Falconjet 900. If the bill has been and probably still is, being underwritten by a corporation, then the Malaysian public should have the right to know whether it is a GLC or not. If it is a GLC and the corporation is a plc, then there are questions to be addressed. It is a matter of entitlement and accountability. 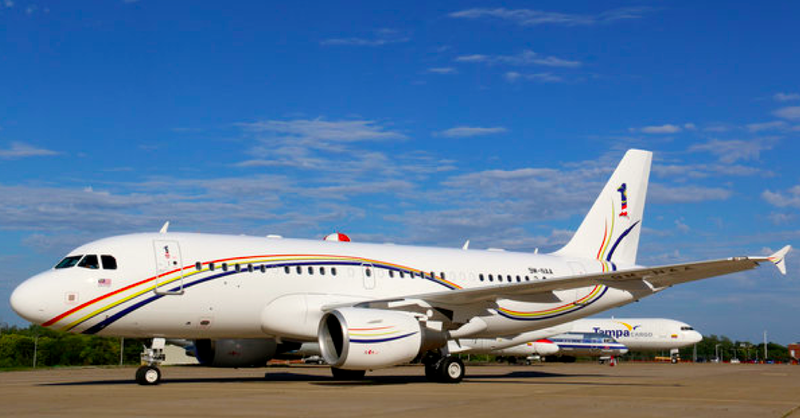 It is interesting to note that Comlux Aviation actually added the Jalur Gemilang and “Malaysia” on both side of the front fuselage of the ACJ320. It only proven that the client is material enough and of that high stature, to be recognised with the ‘national colours’. The lease for this kind of travel is not cheap at all. It ranges between USD25,00–30,000 per hour. That is usually without the fuel and food and beverages bill. However, for long term or returning clients, a good discount could be expected. It is pathetic if Prime Minister Najib’s austerity drive announced four days ago was actually ‘Penny Wise, Pound Foolish’ if it is true that the Malaysian Government or any of its agencies or corporations are involved in excessive luxury spending such as this. The ‘ruled’ would not tolerate if the ‘rulers’ live in this sort of opulence, especially when the common people facing hardship and reduced quality of living. History has proven this too many times over. Santayana reminded us that those who failed to learn from the past, shall be damned to repeat the same mistakes again.